Felon in the family? 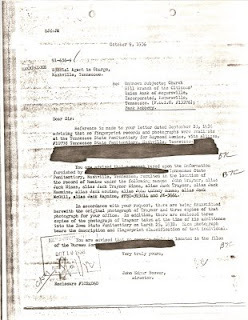 Here's the kind of stuff you can get by submitting a Freedom of Information Act request. 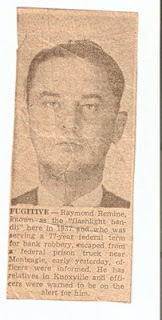 I got this stuff on my cousin Ramon Remine, the notorious bank robber from Greene County. An old newspaper clipping identifies him as the "flashlight bandit." This is the old Poston's Store building as the bulldozers prepared to move in on Tuesday July 29, 2008. This is a Kingsport Times story from 1953 about Upper Circle (a.k.a. Bristol Circle) businesses. This is a Poston's grocery ad from 1954. Here are a few of the neat things I found relating to my father in the Newspaper Archive database at the library. The first is from 1932 when he was 16 years old. The Munford ad is from October 18, 1956 when he bought into the Munford Store. 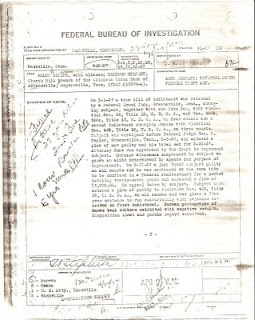 The bottom image is about a March 1968 break in at his store. I've left in extraneous matter around the clippings for your enjoyment. Click on each to enlarge.